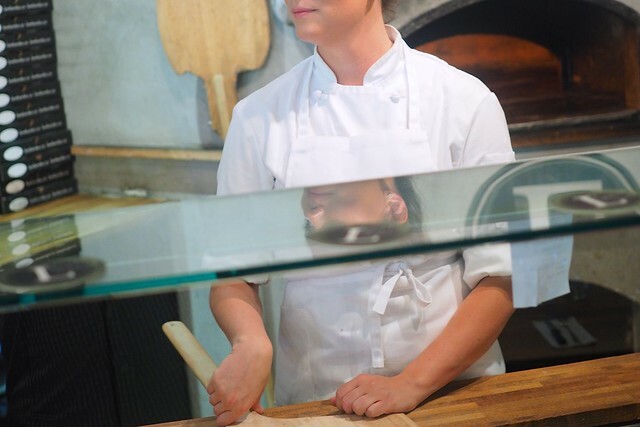 Commercial Drive—(July 30, 2015) A staple of the Grandview-Woodland neighbourhood inside Il Mercato market on East 1st Avenue, the 29-year-old Lombardo's Pizzeria & Ristorante is home to Vancouver's very first wood fired pizza oven. A few of us were invited to an intimate tasting to sample their lengthy menu of Italian offerings. 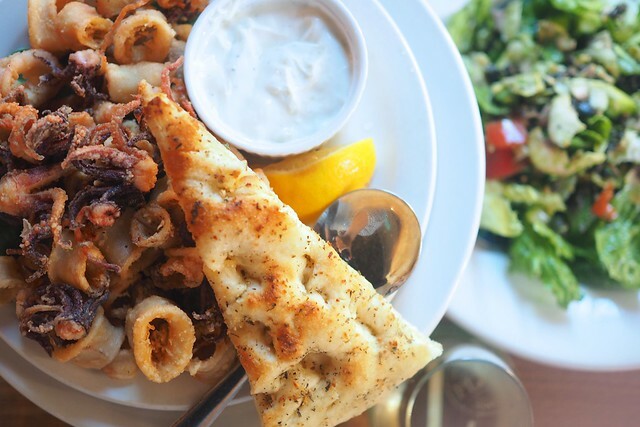 To start, the frittura di calamari was a standard and suitable appetizer as basically what you'd expect from a typical dish of deep fried squid. 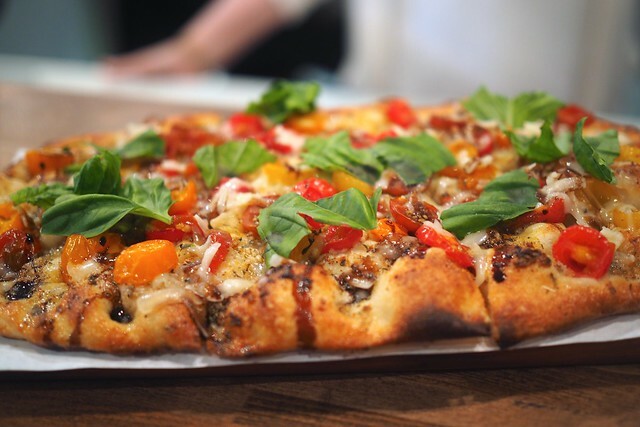 The summer feature heirloom tomato focaccia (with basil, balsamic reduction, and grated pecorino) was a substantial, tasty endeavour with a more flatbread quality. 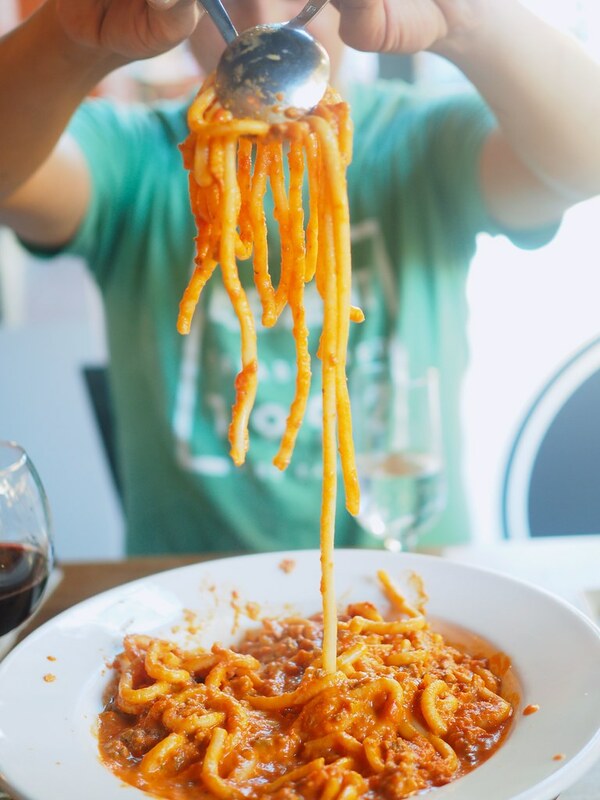 As for pasta, the udon-like spaghetti pasticiotti was probably my highlight with its rich, meaty sauce and its messy deliciousness. 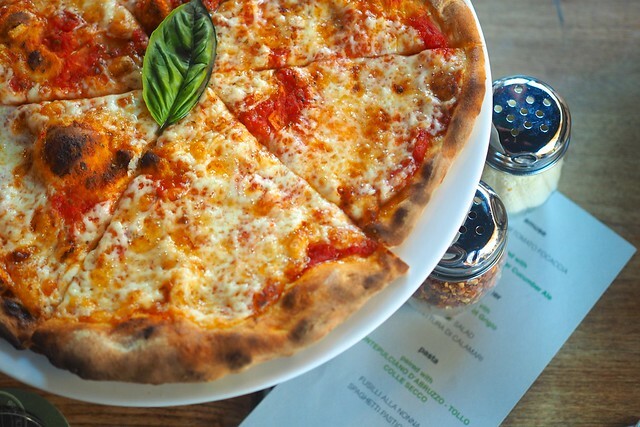 The classic margherita pizza was a very good thin crust pie cooked just right. It was another basic but satisfying item. 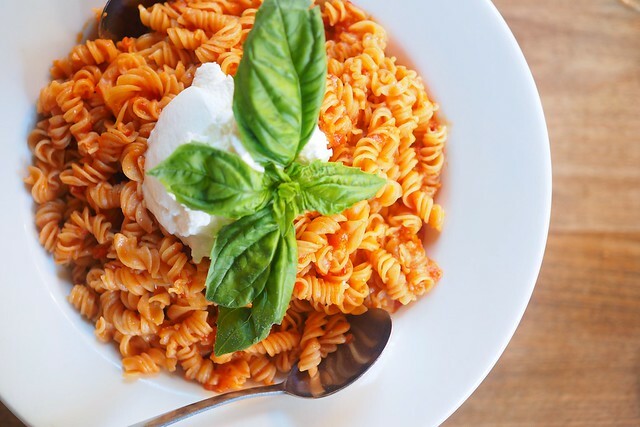 This fusilli alla nonna (with quark and basil) was also rather pleasing, and also on the simpler but still tasty side. 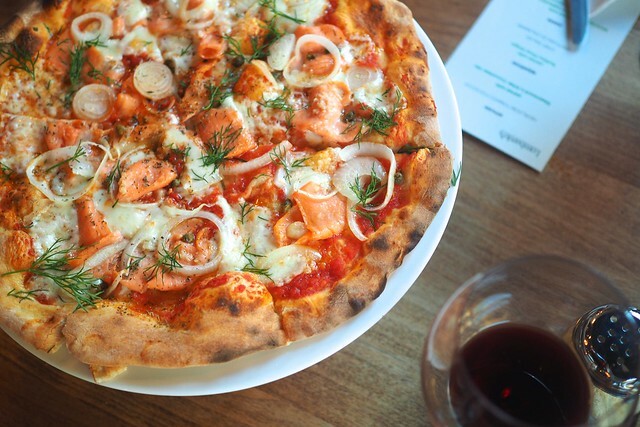 The more adventurous salmone pizza (with wild BC smoked salmon, capers, onions, dill, and garlic oil) was quite good and a nice mixture of contrasting flavours. The well-cooked and topped salmon stood out nicely. 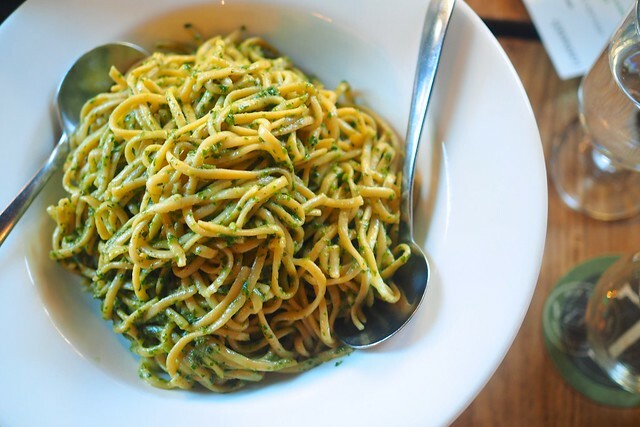 The off-menu linguine al pesto was quite solid and filled with some nice old school Italian flavours. 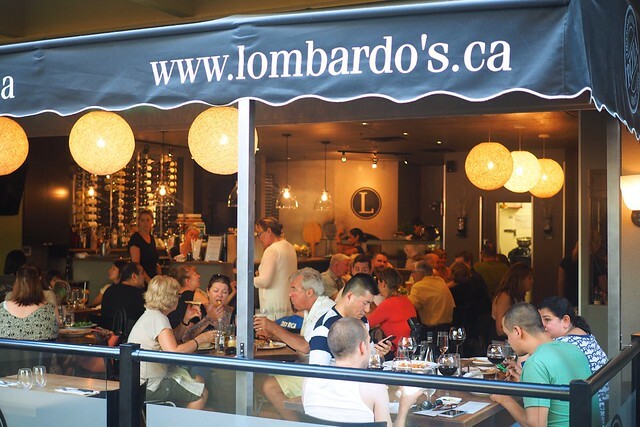 Lombardo's offers a nice variety of authentic Italian pastas and pizzas in the more traditional image of your local pizzeria and ristorante. It's easy to see the loyalty of its reliable clientele with their attention to detail in a more western Italian mould.